Exceptional design by the Masters of Jewellery, Oscar Heyman Bros of New York. Known for their superior quality craftsmanship, they are known as the "Jewellers Jeweller". 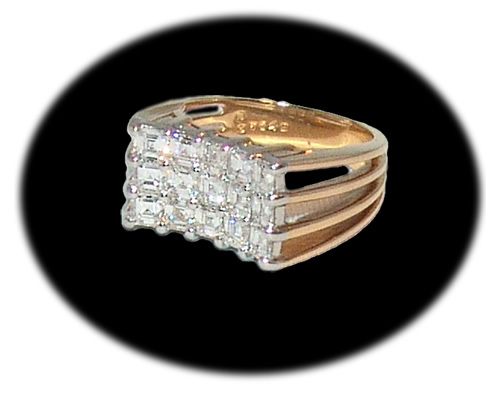 The ring, in 18ct gold has a concave platinum plaque set with superbly cut, Princess diamonds of 2.25 cttw of scintillating F/G colour and clarity.